More explorations around the streets and canals. 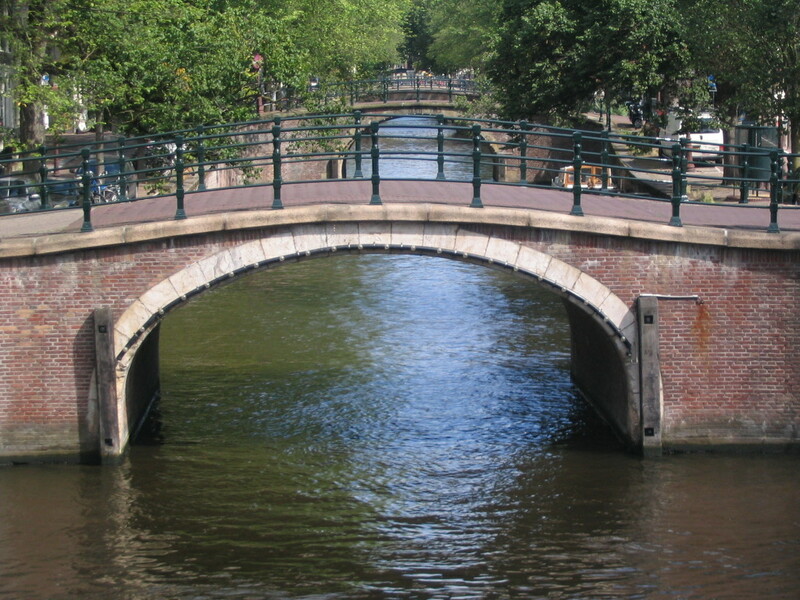 An endless series of bridges looking centerward along the Reguliersgracht. 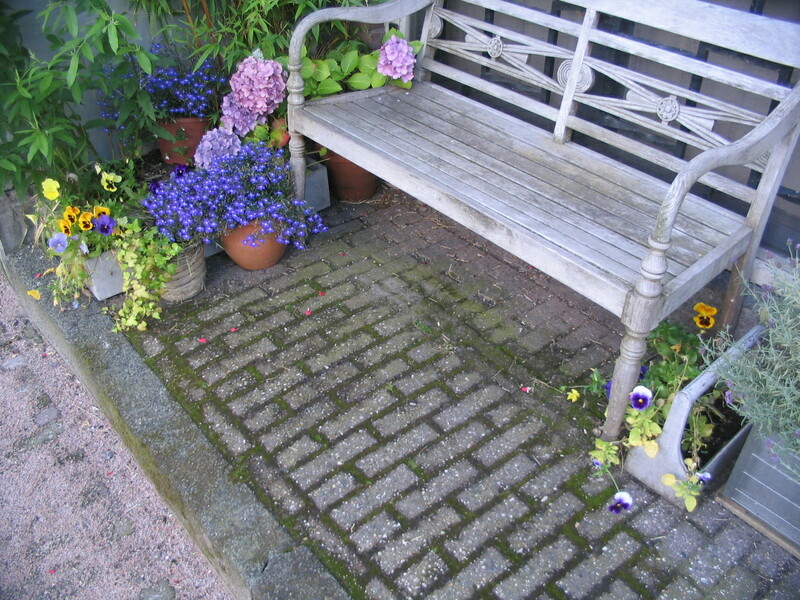 A joyous little flowery scene. 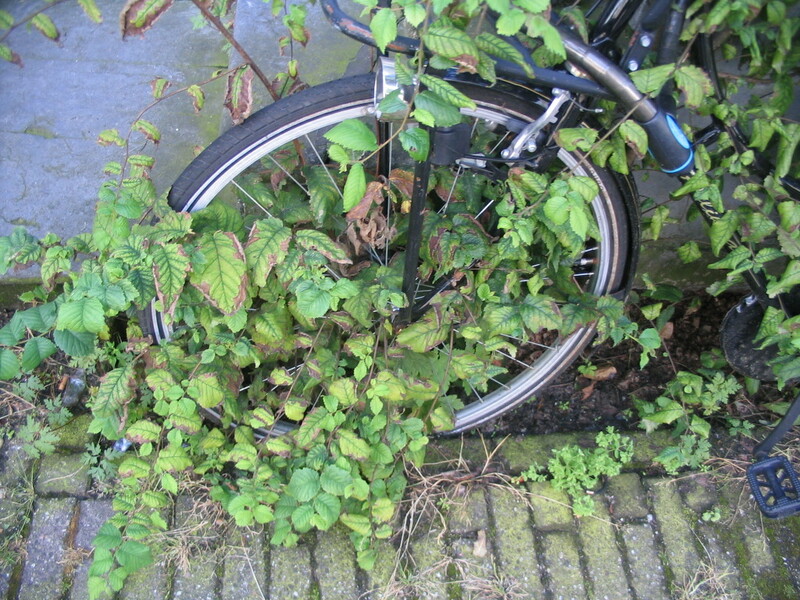 "This is a natural bike lock. Oh, you haven't heard about them? 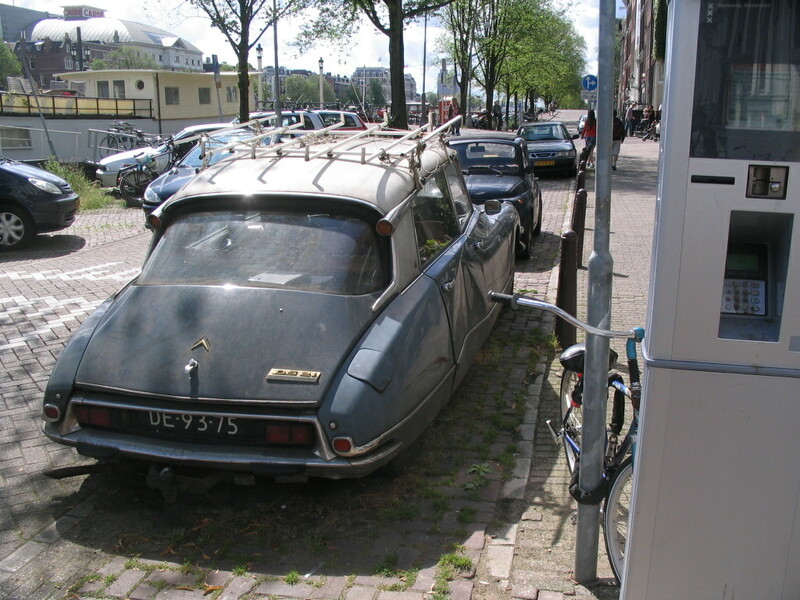 So you're, like, still using one of those corporate metal bike locks with the huge amount of embodied energy? I guess I'm not surprised." 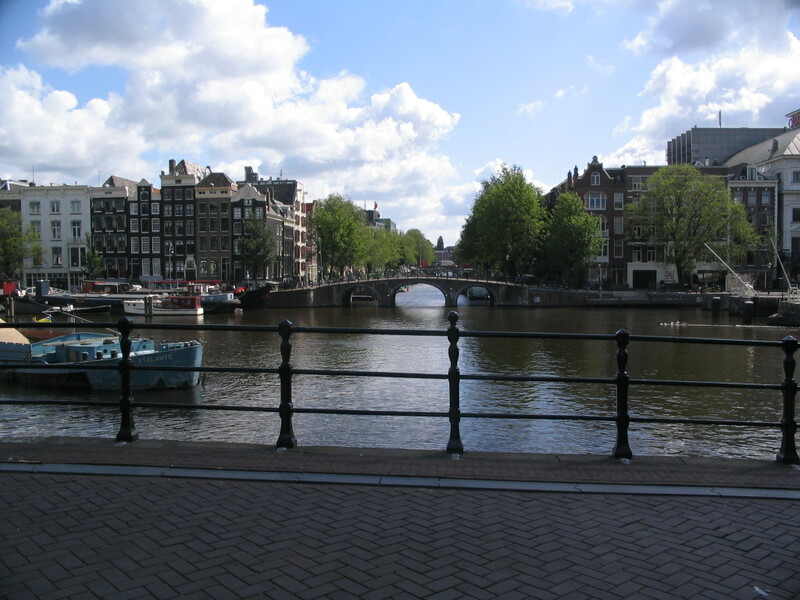 Having continued east along the Prinsengracht, I soon bumped into the Amstel River itself, much wider than the concentric canals. 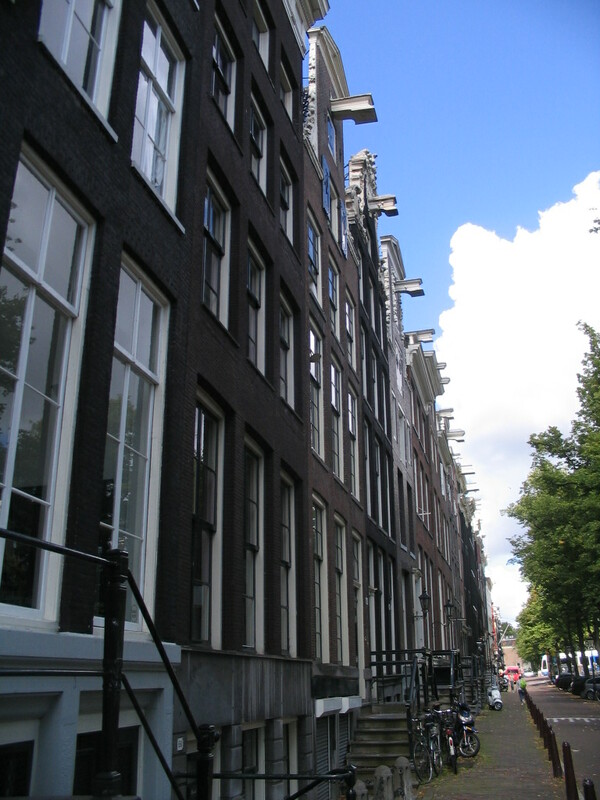 The Prinsengracht continues beyond as the Nieuwe Prinsengracht. 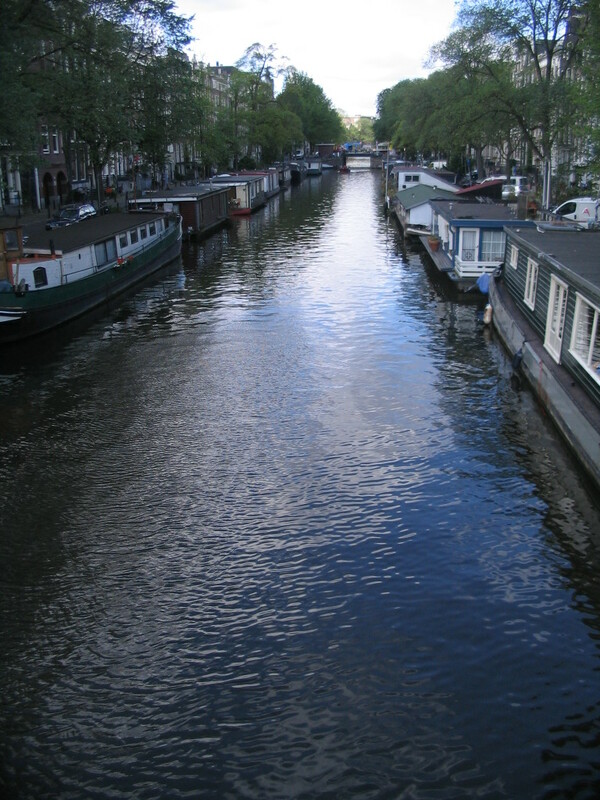 Looking back west along the Prinsengracht from the same point, a swarm of houseboats is suddenly evident. 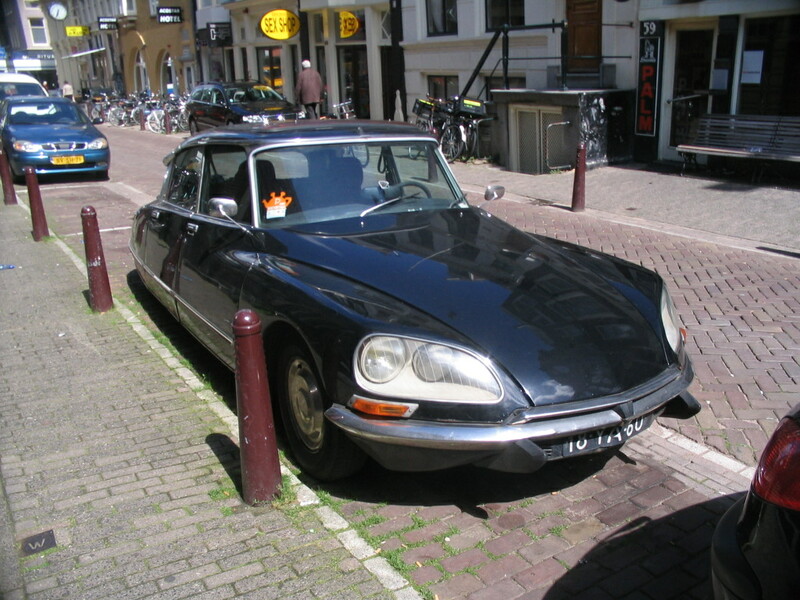 A cool old Renault on the Amstel. 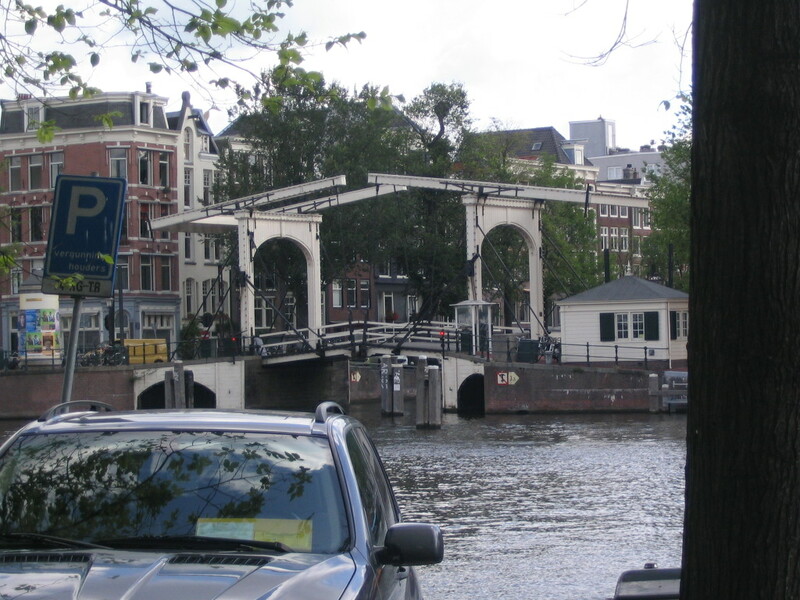 The Amstel is crossed by multiple drawbridges to let large vessels by. What a cool mechanical system! 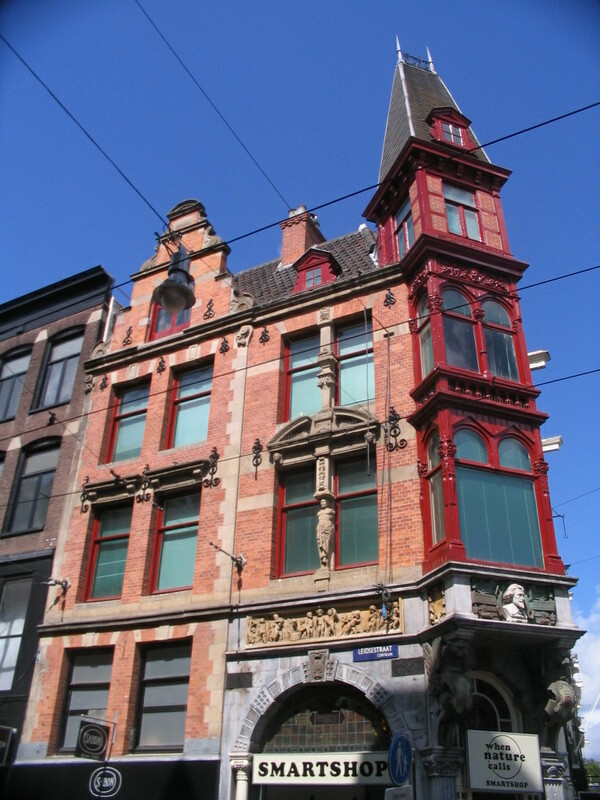 Along the north side of the Herengracht west of Utrechtsstraat: another temporary structure that looks beefy and elegant enough for permanence. 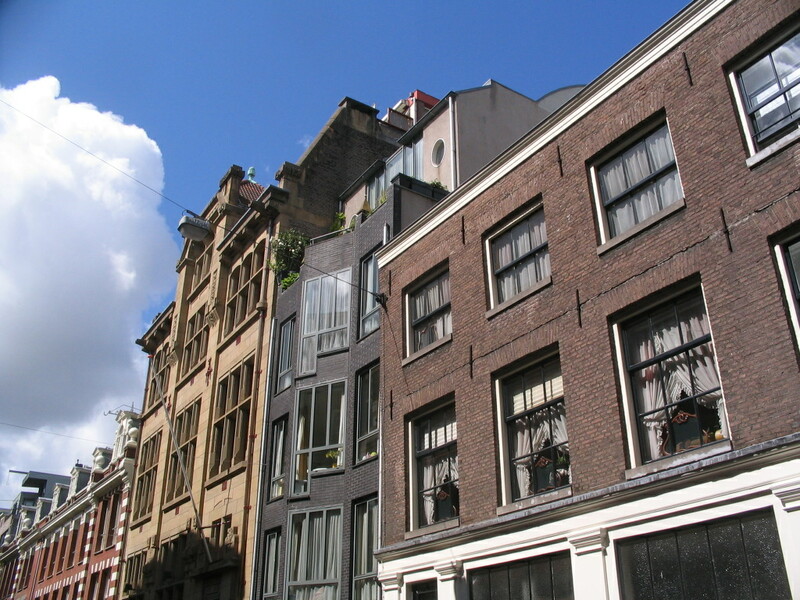 On Nieuwe Spiegelstraat just off the Herengracht, a chunky cascade of building masses in a nice selection of Earth Tones. 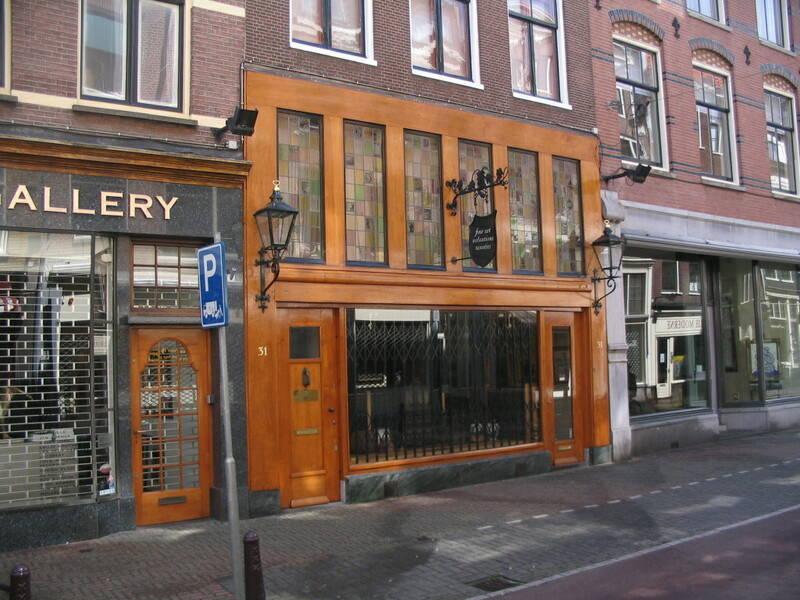 Further down Nieuwe Spiegelstraat, past the Keizersgracht, a lovely wood and stained glass storefront. 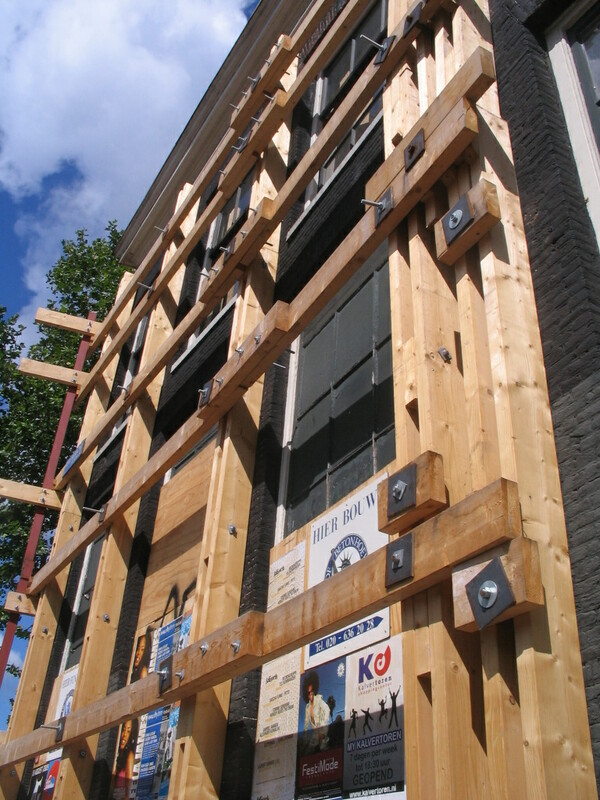 I always wonder how it is to maintain a smooth wooden façade like this against the weather. 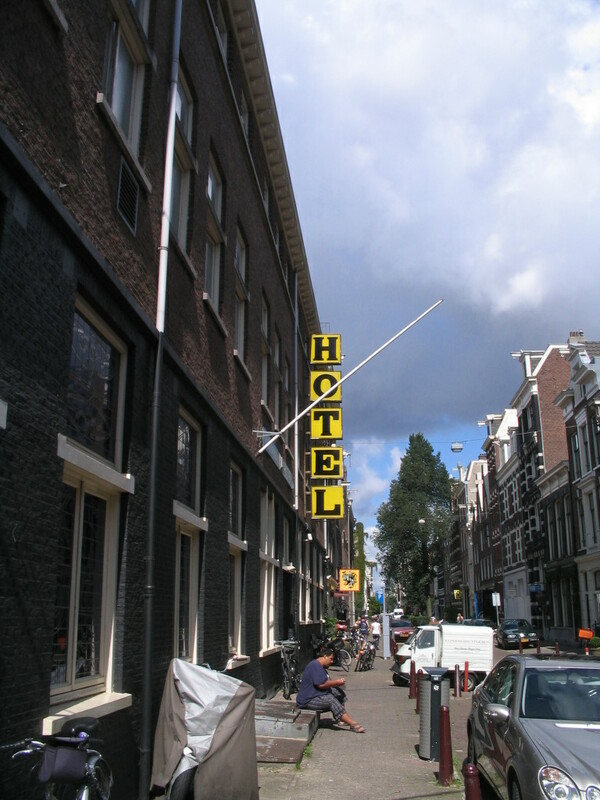 Finally after more than two hours of exploring, I arrived at the Hans Brinker hostel on Kerkstraat to meet everyone. From there we walked back toward the heart of the city to take a boat tour of the waterways. 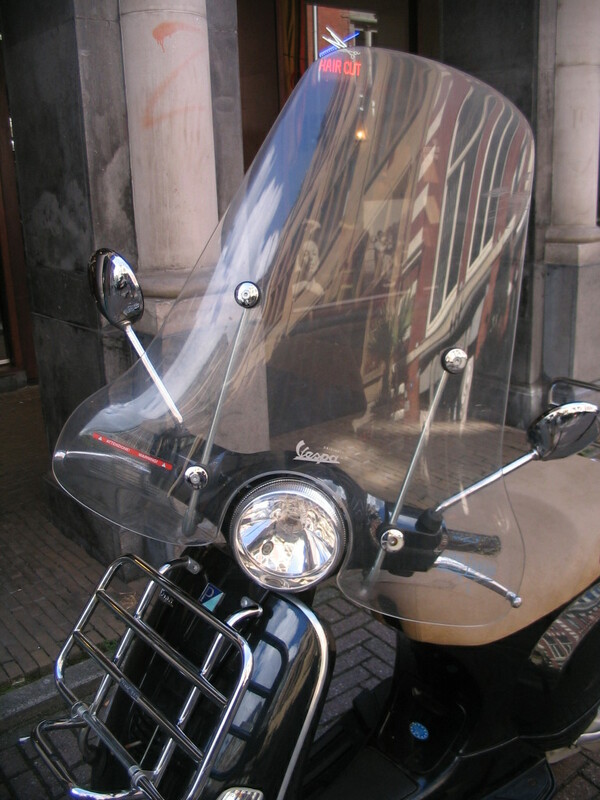 Here, an infinity of apertures along the Keizersgracht between Vijzelstraat and Leidsestraat. I love the cheery red of this corner tower and window trim. 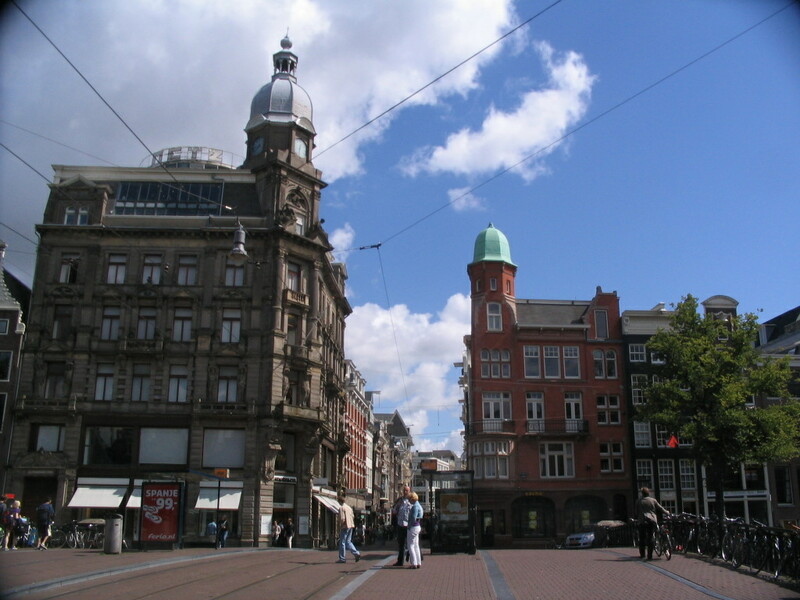 These facing towers flanking Leidsestraat remind me a little of good ol' Aleksi and Pohjola, or any number of similar arrangements in Helsinki. 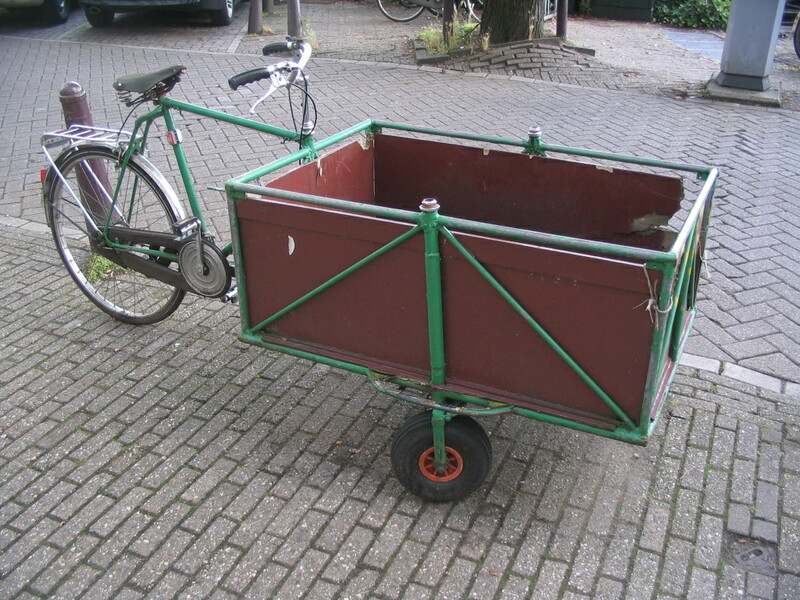 An aerodynamic old rig on Kerkstraat. 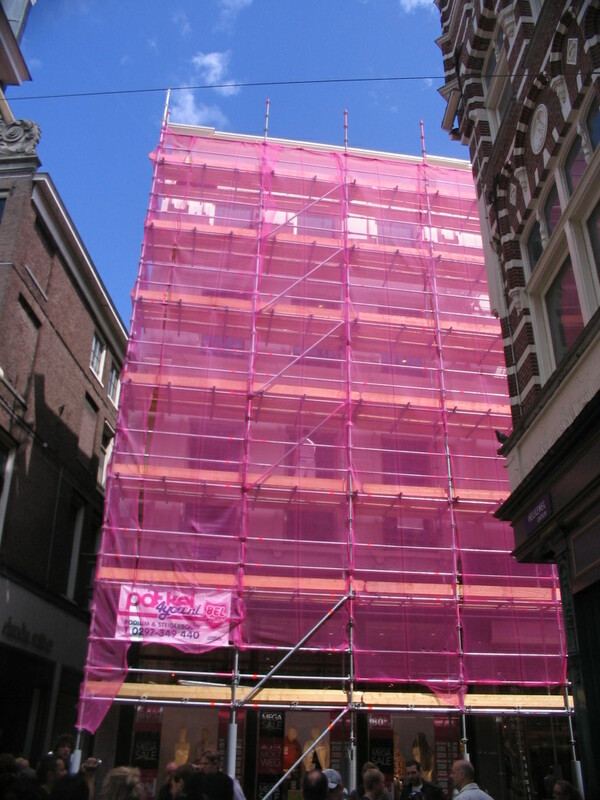 At the corner of Heiligeweg and Kalverstraat in the pedestrian core of the old city: this was certainly the most fabulous scaffolding screening I'd ever seen. 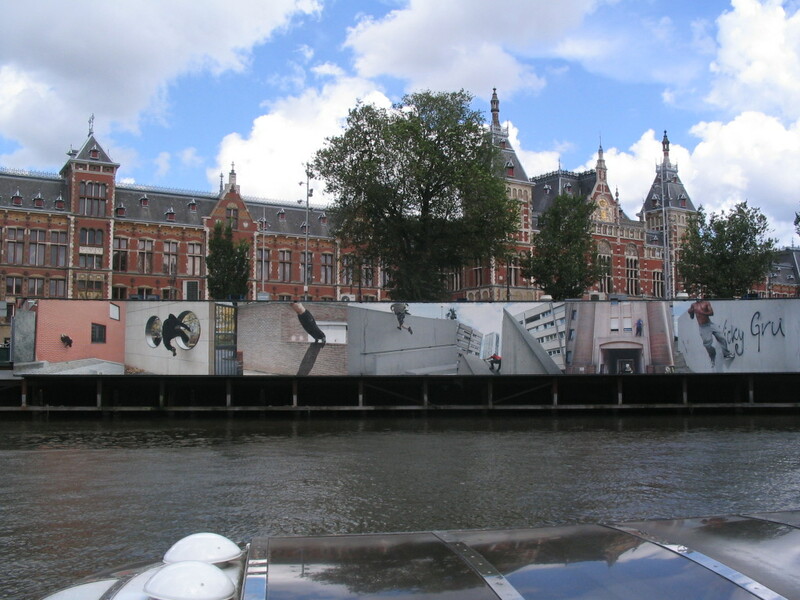 Back by the Centraal Station, looking over one of the parked tour boats. — Free running and parkour always look so tempting, but I'm sure I would just break every bone. I have enough trouble negotiating sidewalk cracks.